March Madness is never limited to basketball. It's a good thing, too, as this Kentucky fan does not want to talk about basketball. There are plenty of tournaments you can participate in, or just watch, even if you don't know a thing about basketball. 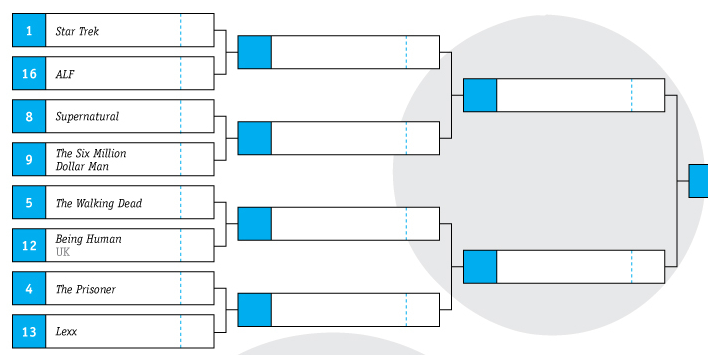 March Madness bracketology has invaded the field of movies, TV, science fiction, cooking, and other fields dear to the hearts of internet users. Let's look at a few of them. 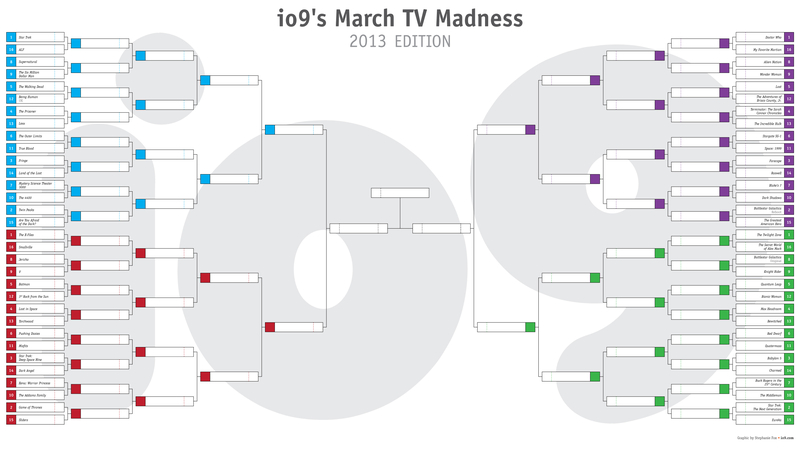 Vote for the best science fiction TV show ever in the io9 March TV Madness tournament! Sixty-four shows, both old and new, are competing for the title. 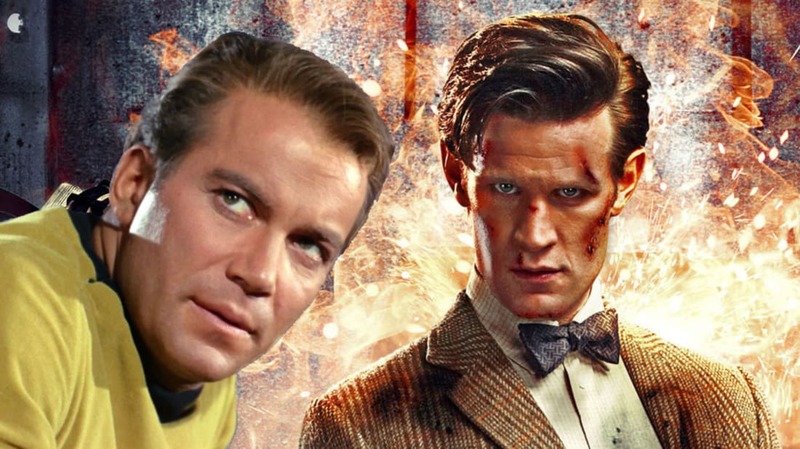 So far, Star Trek has trounced ALF (no surprise), and The Walking Dead beat Being Human. That's just the first of the elimination round matchups. Voting in the second half of the first round will be Thursday. Check out the full size bracket; what is shown here is a small portion. Lucasfilm is presenting their own tournament to determine who is the favorite character in the entire Star Wars universe. The bracket is divided into the Light Side and the Dark Side, guaranteeing matchups between the two in the final four and possibly the championship game. No seeds or odds are apparent, but the way the brackets are laid out, Yoda, Obi-Wan, Luke, and Han are all in same region, so only one of those can make it to the final four, but Darth Vader vs the Emperor will be a possibility. Voting in the first round began Monday, and the final matchup is on April 9th. Vote now for Obi-Wan Kenobi vs. Qui-Gon Jinn and Asajj Ventress vs. Darth Maul in today's matchups. This one is liable to bring back some good memories, wherever you attended college. Or plan to. 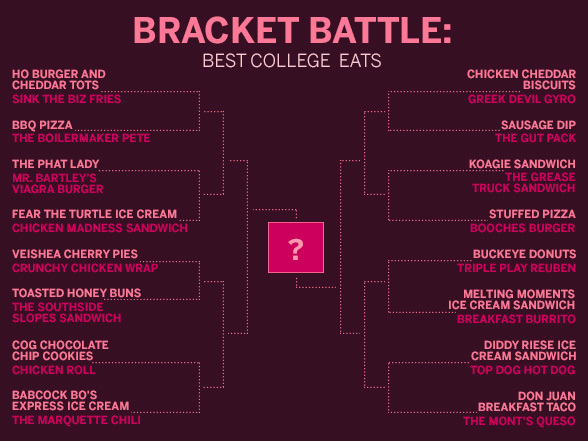 The Cooking Channel has a bracket pitting the 32 best foods available near college campuses. Read about each offering here. Even if you don't participate in the tournament, you may find a great place to eat! 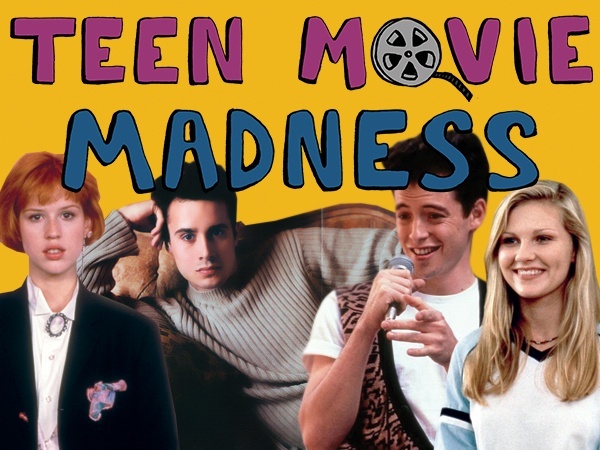 Forever Young Adult is staging a tournament to determine the best teen movie ever. You can see the entire bracket in the round two results post. Yesterday was the The Molly Ringwald Division Semi-Finals, and today we have the The Freddie Prinze, Jr. Division Semi-Finals. Buzzfeed Animals wants you to help select the most promising animal species, barring dogs and cats and a few other animals that have already seen more than their share of internet fame. 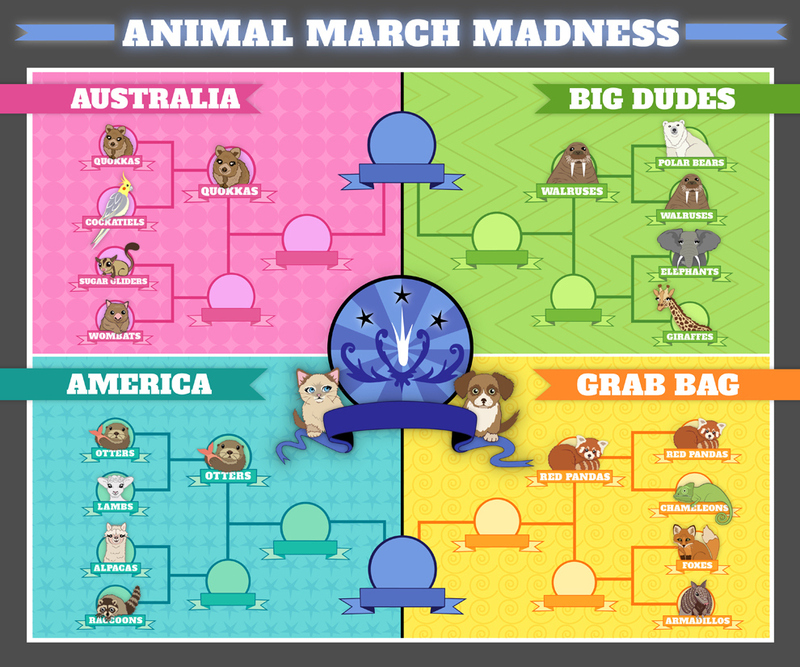 Sixteen species are represented in the bracket, with four already eliminated. The aim is to select which animal will be the "next big thing" on the internet. Keep up with the current open categories here. 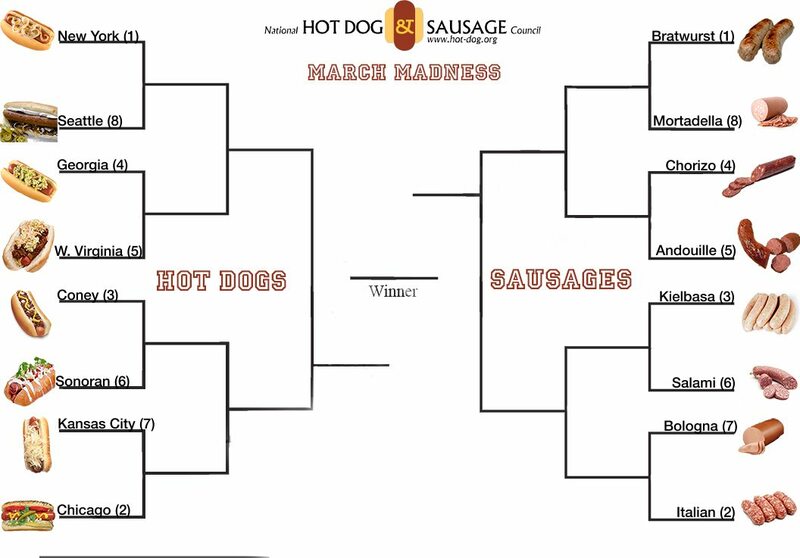 The National Hot Dog and Sausage Council is asking you to decide which hot dog is best, pitting different sausages against each other on one side of the bracket and different styles of dressing a dog on the other side. See the bracket here. Vote in the matchups at Facebook and win prizes just for voting! Consumerist holds an annual tournament to decide which company is the best at instilling hatred in their customers in the Worst Company In America Tournament. Companies appearing in the bracket for the first time this year include Carnival Cruises, J.C. Penney, and Anheuser-Busch. Today's matchup is between Cablevision and Time Warner Cable, which will most likely be won by which company has more customers. Follow the progress of the tournament here. TheOneRing.net presents the 2013 edition of Middle Earth Madness, with a whole new infusion of characters from The Hobbit movie, in addition to old favorites. 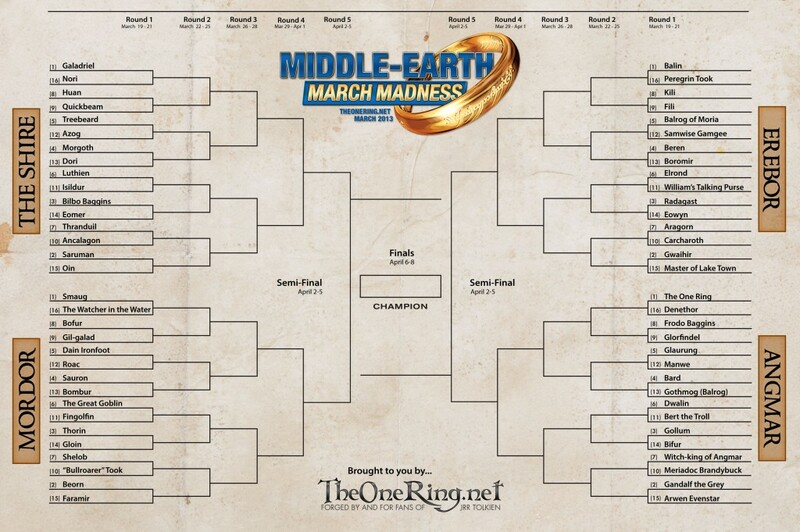 The bracket's four divisions are: The Shire, Erebor, Angmar and Mordor. Voting is now open in the first round. Follow the progress of the tournament here. 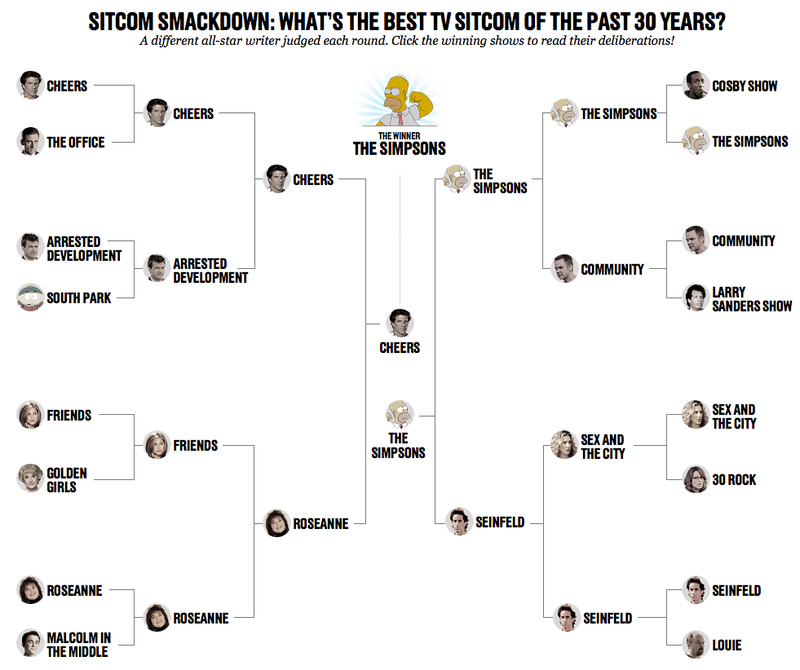 Vulture once again hosted a tournament about TV, this time to decide the best sitcom of the past 30 years. Unfortunately, you can't vote in this tournament, as the champion was announced yesterday. However, each round comes with an extensive breakdown of each show's strengths and weaknesses, which is fascinating for sitcom fans. 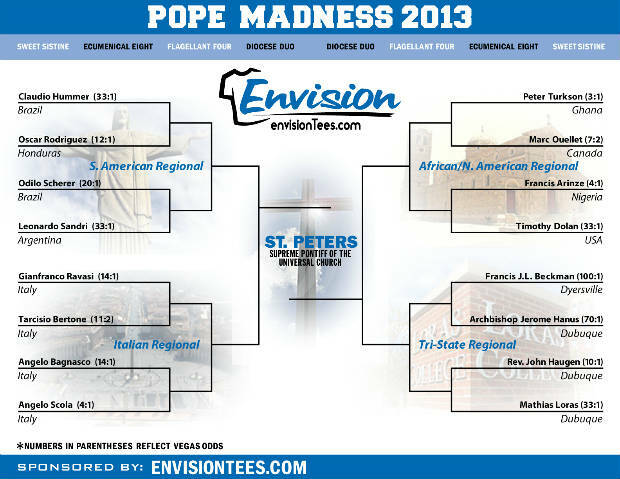 People will make a tournament bracket out of anything, and the process of selecting the next Pope was just too tempting to resist. 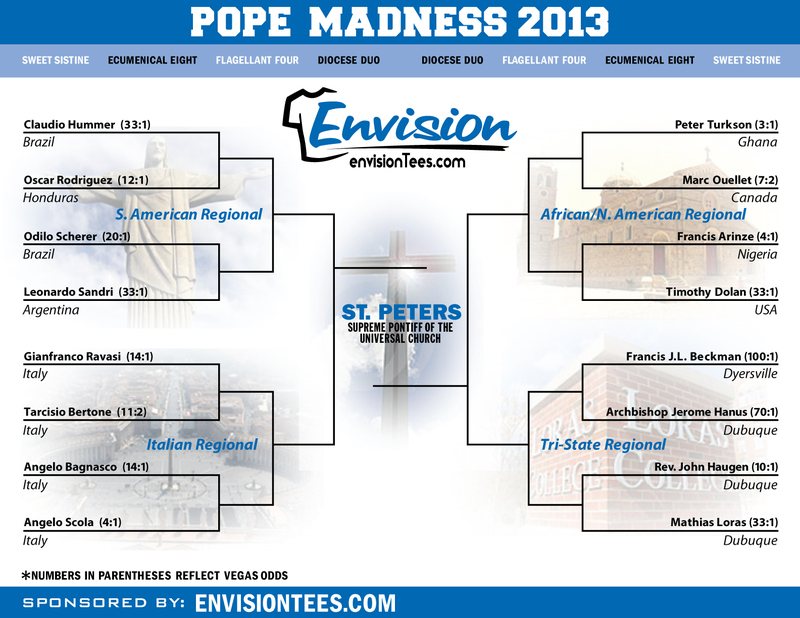 The Pope Madness bracket is divided into four regions, including the tri-state regional, which contains four men not actually considered "papabili" (two are deceased). This is another example of March Madness tournaments not coinciding with the NCAA tournament because the basketball tournament is so late getting started -and the papal conclave was quicker than expected. The rounds have wonderful names, the best being the Sweet Sistine. Each candidate came with Vegas odds, but you might notice that the eventual winner, Argentine Cardinal Jorge Mario Bergoglio, now Pope Francis, is not in the bracket at all.